Cap Creations: How about a $40 Gift Certificate?!!! How about a $40 Gift Certificate?!!! 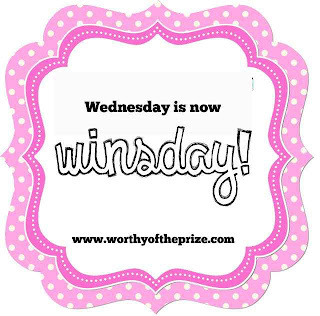 Every Wednesday my friends over at Worthy of the Prize have WINSDAY!!! Each week you have a chance to win a fantastic giveaway! $40 gift certificate to Cap Creations up for grabs! That you can spend any way you please. Good Luck!! !